We are an experienced website design, development, marketing and communications company, located in Newtown, CT and Branson, MO, with clients across the US. Our focus is to offer products and services that help make your business more efficient and successful. Our veteran team of creative and technical professionals have extensive experience developing business and marketing solutions to help you communicate more effectively with potential customers, current customers and employees. We do this through clear communication and thoughtful technology solutions. We can take on 100% of a project or work with your team to get you the results you need. Our projects are headed by Michelle Szabo and Dennis Grega, PhD. Both Michelle and Dennis are veteran designers, marketers, researchers and developers who have worked on a wide variety of projects from websites and online applications to print, video and 3D. The solutions we create for you are professional, clear and functional, while maintaining a creative vision that fits your unique business needs. Our projects often require a wide variety of skills including needs analysis, user interface design, programming, database development, copywriting, editing, search engine optimization, video development and editing, 3D design and animation, retouching, print design and production, training and more. We enjoy being able to get involved in many facets of a project and watch it come together in a final product. Our clients often ask us to get involved in many parts of their business in order to keep their message clear and focused. We love being part of their team and helping to improve their bottom line. Take a look through our portfolio of work to get an idea of the types of projects we deliver. 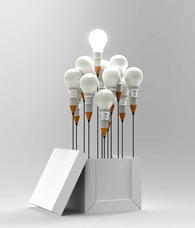 Give us a call with your next bright idea.